Motor Vehicle Crimes Category Archives — Massachusetts Criminal Defense Attorney Blog Published by Boston, Massachusetts Criminal Defense Lawyer — Stephen Neyman, P.C. Prosecutors in the Wrentham District Court claim that Moses Acloque dragged a women who worked at a Route 1 motel for three miles underneath his vehicle causing her death. According to a report in the Patch Acloque was at a party in a motel room watching Monday Night Football. The prosecution claims that Acloque had not paid for the room nor was he permitted to be in the room. His defense lawyer stated that he was a visitor in the room. Apparently, motel staff members demanded payment from Acloque. The defense has alleged that Acloque was then assaulted. His injuries warranted hospital treatment. The prosecution contends that Acloque ran over the victim while trying to leave the property without providing payment for the room. The Patch article further suggests that at least one person, not present at the motel saw the body being dragged by Acloque’s vehicle. That person alerted the state police who in turn located Acloque, his truck and the victim’s body. An arrest was immediately made. Acloque has been charged with leaving the scene of an accident, motor vehicle homicide and other motor vehicle crimes. A modest bail was set and at least for now the case will be prosecuted in the district court. The facts reported in this article leave much to the imagination relative to potential defenses to these charges. Key to the case will likely be what the witness who alerted the state police actually saw. The article suggests that he saw Acloque’s vehicle hit the victim. If that is true then his observations tend to undermine the prosecutor’s representations that the victim was struck by Acloque while blocking his truck in an effort to secure payment for the room. There is also the suggestion that the accused was leaving the motel to escape from an assault. This conduct in some cases provides a viable affirmative defense to criminal accusations. Here is something else to think about. Acloque’s defense lawyer stated that he had no idea that someone was being dragged by the car. This might very well be true depending on where the body was in relation to the car. For instance, if the somehow the victim or her clothing got stuck on a portion of the rear of the truck while she was running after the vehicle this suggestion becomes plausible. On the other hand, if the truck struck her from the front and she was dragged underneath then Acloque might have some bigger problems. One thing is for sure. Acloque hired an excellent Massachusetts criminal lawyer with years of experience. Getting the judge to set reasonable bail was in and of itself an initial victory for Acloque. Kathleen Allen, a twenty three year old Middleboro, Massachusetts woman was held on one hundred thousand dollars bail after her arraignment in the Wareham District Court. It is alleged that Allen was high on Heroin and Operating Under the Influence when her pickup truck slammed into a sedan killing the driver of the smaller car, a local college freshman. The most serious charge Allen faces is Motor Vehicle Homicide. At the time of the incident Allen had three open criminal cases. According to reports, police officers responded to the crash scene where they observed two vehicles overturned. The victim died at the accident scene. Allen was brought to the hospital and treated for some minor injuries. Her passenger was med-flighted to a Boston hospital with serious injuries. Reports state that while driving Allen dropped a cigarette. When she went to pick it up she lost control of the wheel. Her passenger tried to steer the vehicle into the correct lane and as the two struggled for control of the wheel the pickup truck hit the victim’s car. Allen supposedly told the police that not long before the accident she injected herself with Heroin. She also admitted to drinking heavily. The case is currently being prosecuted in the Wareham District Court. 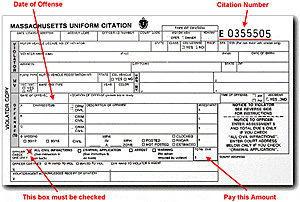 Motor Vehicle Homicide in Massachusetts is a felony proscribed by Massachusetts General Laws Chapter 90 Section 24G. The law states that anyone operating under the influence of alcohol or drugs who causes death to another can be punished by up to fifteen years in state prison. A conviction for this offense mandates a one year jail sentence. 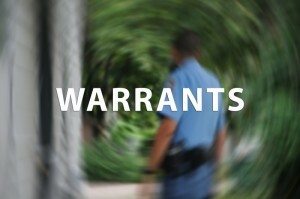 There is also a fifteen year loss of license for anyone convicted of this offense. Interestingly enough, the district attorney could have charged Allen with manslaughter based on the same conduct. A conviction for manslaughter would carry a possible twenty year state prison sentence. Massachusetts courts have stated that the Motor Vehicle Homicide statute was designed to find a middle ground between manslaughter and Operating to Endanger. As a Massachusetts Criminal Lawyer I can see where Allen’s case might be difficult to defend successfully. There are several hurdles she has to overcome, which in the circumstances of this case will be tough to jump. Allen will have to show that the accident was not her fault. The district attorney will likely have an accident reconstructionist engaged. If they determine Allen was at fault then she will have to overcome the factor of impairment. This involves first challenging the admissibility of her admissions to the police, then trying to exclude as evidence the breathalyzer or blood test. Allen’s passenger’s recollection of the events might help with her defense depending on the testimony that person can provide and his or her credibility. Allen has a tough fight ahead of her. The Brockton Enterprise reports that Mary Lukasik, a Massachusetts woman will be charged following an accident that resulted in a death just two days ago. The thirty four year old Lukasik was driving a car that struck a fifty one year old woman. The accident occurred around 7:00 in the morning. Lukasik will be charged with Motor Vehicle Homicide by way of Negligent Operation. The case will be prosecuted at least initially in the Hingham District Court. In the opinion of this Massachusetts Criminal Lawyer perhaps the most unjust crime that is prosecuted in Massachusetts is Motor Vehicle Homicide by way of negligent operation. This Massachusetts law states that ordinary negligence, the same negligence that applies to tort cases can suffice to establish guilt of the accused. The law requires the district attorney to prove beyond a reasonable doubt that the accused operated a motor vehicle, that she did so in a public way and that she did so in a negligent manner such that the lives and safety of the public might be endangered. 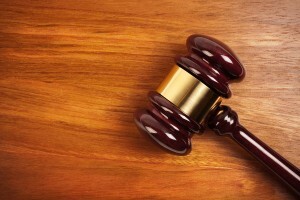 A finding of “ordinary negligence” establishes a violation of the statute. The penalty for a conviction under this statute is rather severe given the absence of a need to prove criminal intent. There is a minimum thirty day sentence and up to two and one half years under the misdemeanor version of this law and significantly more if the case is prosecuted as a felony. There is also a fifteen year loss of license for anyone convicted of this crime. While the article is silent as to whether this case will be charged as a misdemeanor or felony it appears that a misdemeanor complaint has issued. To successfully defend a case like this it is necessary to show an absence of negligence on the part of the accused. Did the victim dart out in front of the car? Was there some sort of obstruction in the road or nearby area impacting the driver’s ability to see the pedestrian? Was the accused acting appropriately and this simply an unfortunate accident? These are some of the questions that Ms. Lukasik’s lawyer will investigate in preparing for her defense. Being accused of a crime does not mean that a person is guilty of having committed that crime. Unfortunately, when a death is involved prosecutors tend to try to hold someone accountable for the act. Their approach is often “let a judge or jury determine what happened and assign accountability”. Good, experienced defense lawyers can convince a judge or a jury that there was no crime committed and perhaps all that occurred was an unfortunate accident. Just after 5:30 p.m. yesterday, Methuen, Massachusetts resident John Sullivan was driving on Pelham Street when he heard a noise. He thought he hit a deer. Not too long thereafter Sullivan noticed damage appearing to be more extensive than he first thought. He became concerned that he might have hit a person so in less than one half hour he went to the Methuen Police Station where he learned that he had in fact struck a seventy-year old woman who was in critical condition. The woman was wearing dark clothing. Several witnesses saw her being thrown into the air. Another witness though that a trash bag was being thrown out of the window of a car in front of her. There is no indication that anyone was able to identify Sullivan or his car as being involved in the accident. Sullivan has been released on personal recognizance notwithstanding a request from the assistant district attorney for a ten thousand dollar bail. Charges of Leaving the Scene of an Accident with Personal Injury are pending in the Lawrence District Court. Not every accident resulting in an injury constitutes a crime. That is the message that Sullivan’s Massachusetts Criminal Lawyer needs to convey to the district attorney’s office or, if necessary to a jury. Keep in mind a few things. The woman who was hit by Sullivan’s car was wearing dark clothing. According to the newspaper report the victim’s late husband was hit by a car in that area about six years ago. So what does that tell you? This is a dangerous intersection. Or, the lighting in this area is poor. What did Sullivan do wrong? Nothing according to the Lawrence Eagle Tribune article. None of the witnesses’ statements referenced any wrongdoing on his part. There is no reference to excessive speed or to a red light violation. There is no indication that he was inattentive. As a matter of fact, Sullivan did the right thing. When he became concerned that he might not have hit a deer he immediately went to the police station. When he learned that someone had been hit he voluntarily gave a statement. The timing of his actions are critical. Less than one half hour after the accident he reports to the police station. This immediately eliminates any suggestion that he was operating under the influence of alcohol or drugs. His lawyer made clear that he has not texting capabilities so we can rule that out as well.